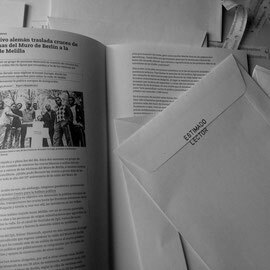 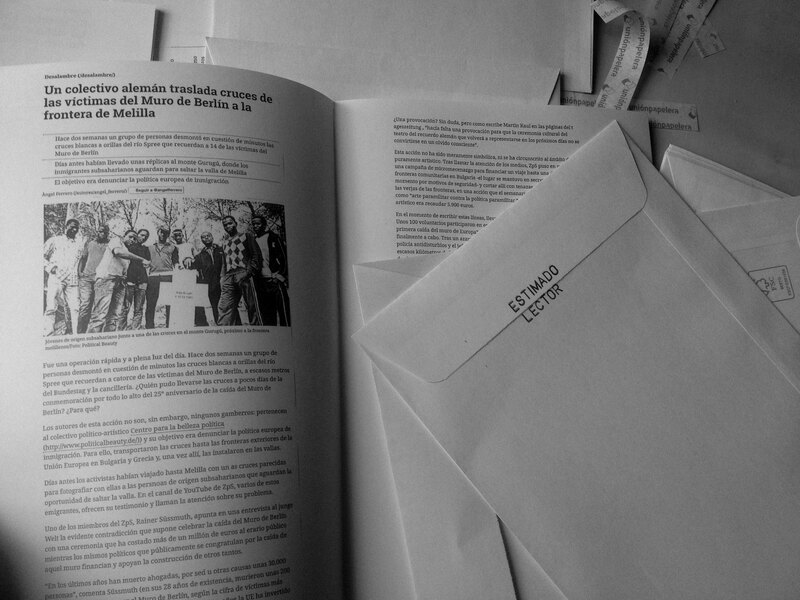 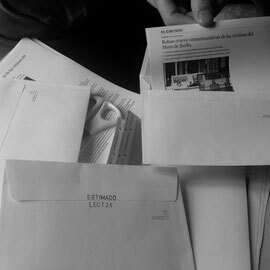 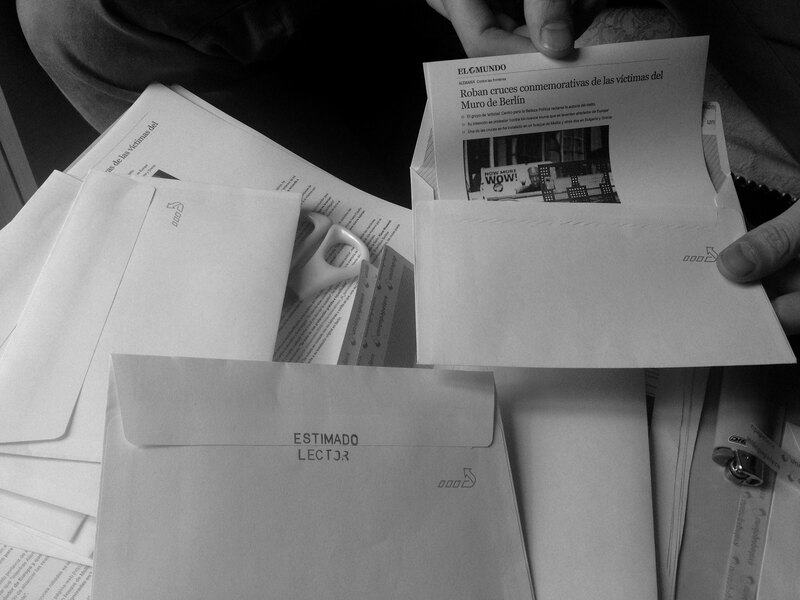 The first action took place in Barcelona, where 100 envelops stamped with the sentence "Estimado Lector" (Dear Reader) were placed clandestinely inside different books in several bookstores around the city. 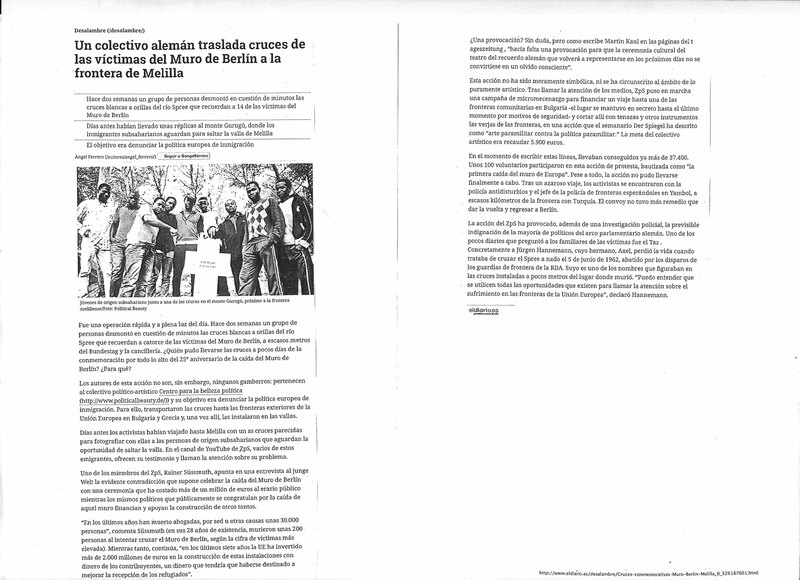 The envelops contained two Spanish newspapers clipping, which reported about an action performed by the German artistic and political collective Zentrum für Politische Schönheit (Center for Political Beauty). 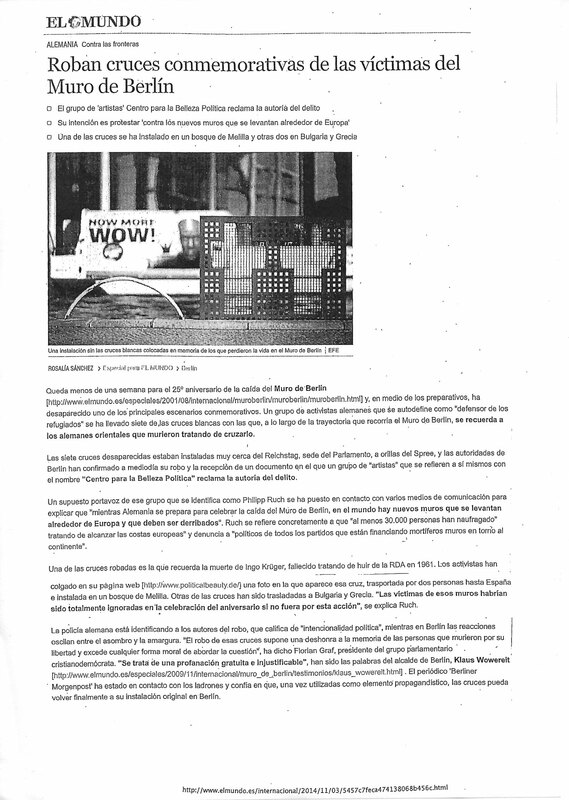 A few weeks before the 25th anniversary of the fall of the Berlin wall, the Berlin based collective denounced the hard migration policies implemented in Europe by steeling the white crosses created to commemorate the Berlin wall's victims, and moving them to the walls built as national frontiers in Spain, specifically in the fence of Melilla, border with Morocco, where in recent years the authorities have installed blades and spikes to prevent the passage of African immigrants. (More information about this project: http://www.politicalbeauty.de/mauerfall.html). 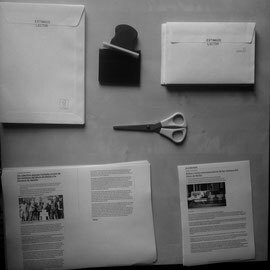 The action performed by the Zentrum für Politische Schönheit collective was able to reflect on these problematics very successfully. 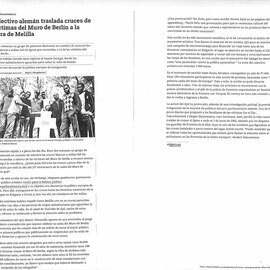 This is why we decided to simply distribute the news about it, and therefore, to bring the attention to the local immigration conflict in Melilla, through the work carried out by the collective of artistic and political activists. 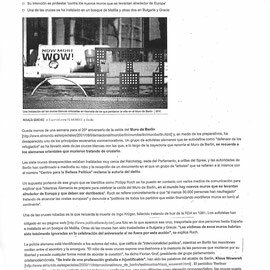 This action was made by Greta Rusttt in collaboration with Jan Vormann.